I am not a fan of the soft rifle case. That comes from the years working Audio in which everything that needed to be moved was done inside an Anvil Case which makes Pelican stuff look like made of Papier Mache. I know a rifle is not as delicate as a piece of electronic gear, but the fear of damage remains. We are not taking about taking your rifle on a plane trip outside your control but your average trip to the range and maybe a little bit of road trip. 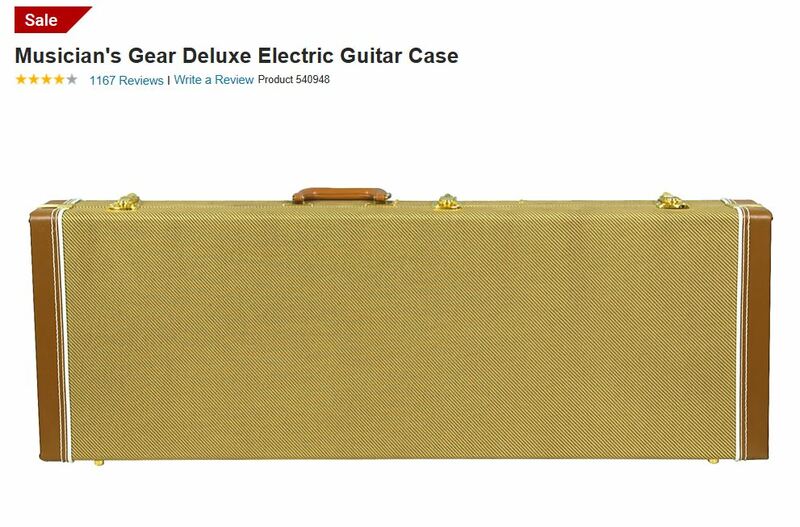 A regular guitar or bass case should do the trick rather nicely and cheaper. 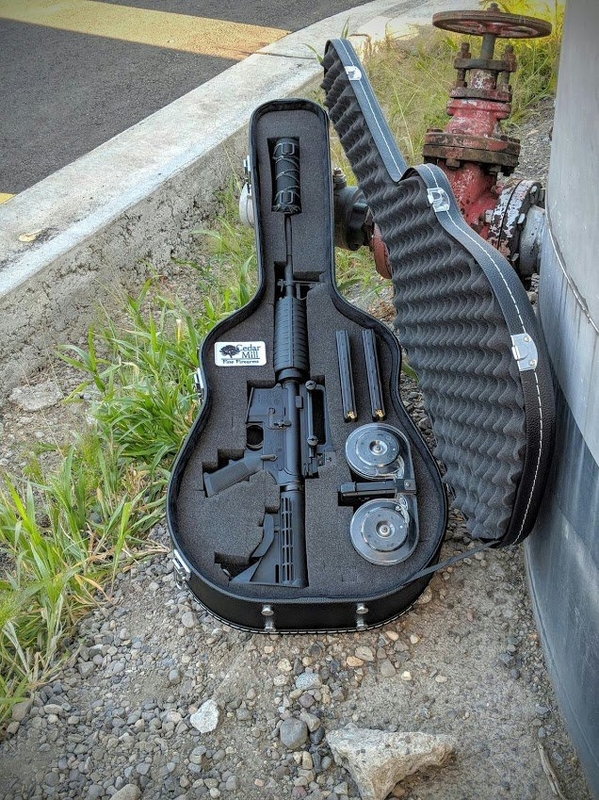 A nice Pelican rifle case will run pass the $250 mark while you can get a not too shabby traditionally shaped guitar hard case for one-fourth the retail price of Pelican. If the guitar shape is not your cup of water, then the Fender-style cases may be to your liking, specially the very old style repros. Yes, you will need to fix the inside and use a foam cut-out (I have no idea about the cost) but you will look cool and your rifle will arrive with style at your shooting destination. Case Club for the foam if you want custom precut foam, there are other places too for just eggcrate. My only concern would be the 3.75″ depth … Might be a little thin after the foam is in. And if asked, you can always say you’re on your way to your “guitar” lessons. Actually, the guitar case IS a bad idea, unless you have it with (on) you at all times. It’s not a good idea to hide a theft target inside a theft target. Thieves are opportunists, and anyone who grabs your guitar case while it’s locked in your car or leaning against the stall wall while you’re in the bathroom will think he grabbed a nice guitar he can fence for a couple hundred bucks. Imagine the pleasant surprise when he opens the case! I suppose that says the rectangular case is better. Was it here that I saw the suggestion of recycling a Sawz-all case to be a gun case? Something like that, a sturdy case recognizable as a tradesman’s case likely to hold inexpensive stuff would be ideal.